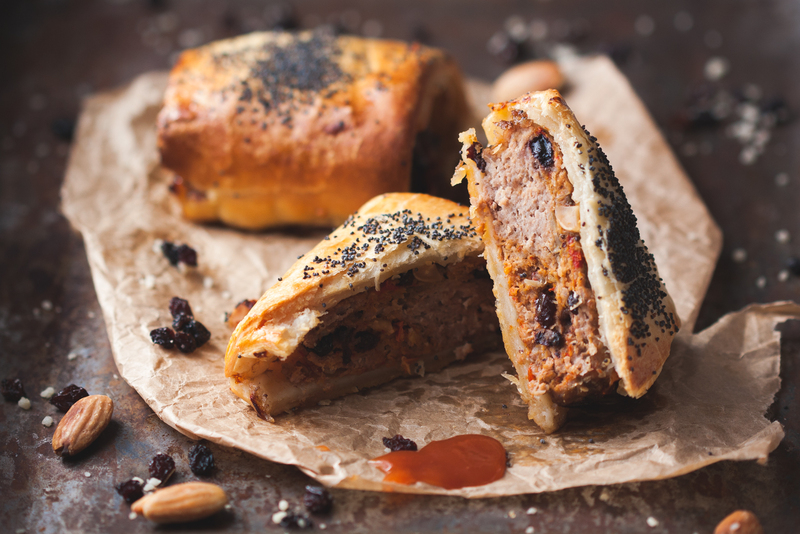 As a kid I used to swap my Nutella sandwiches for my classmate’s canteen sausage roll , such was and still is my fondness of the stuff that I could give up the saintly nectar that was Nutella. 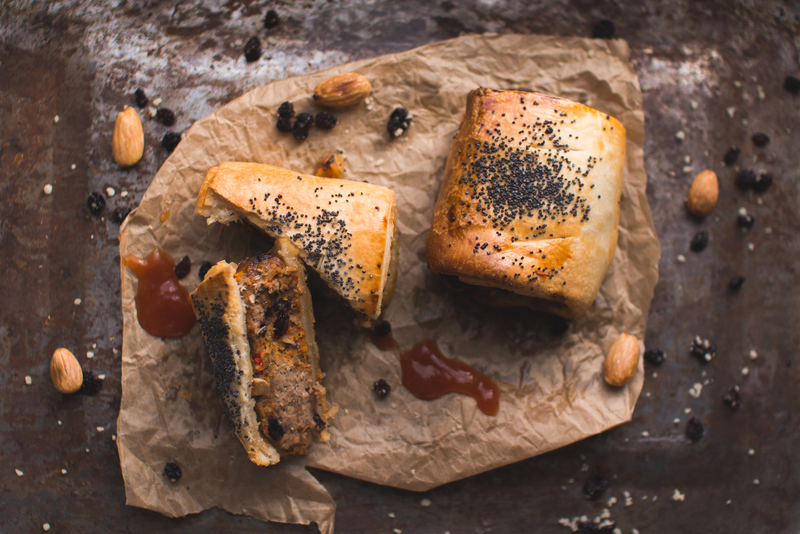 But really is there anything more symbolic of an Australian childhood then party pies and mini sausage rolls? 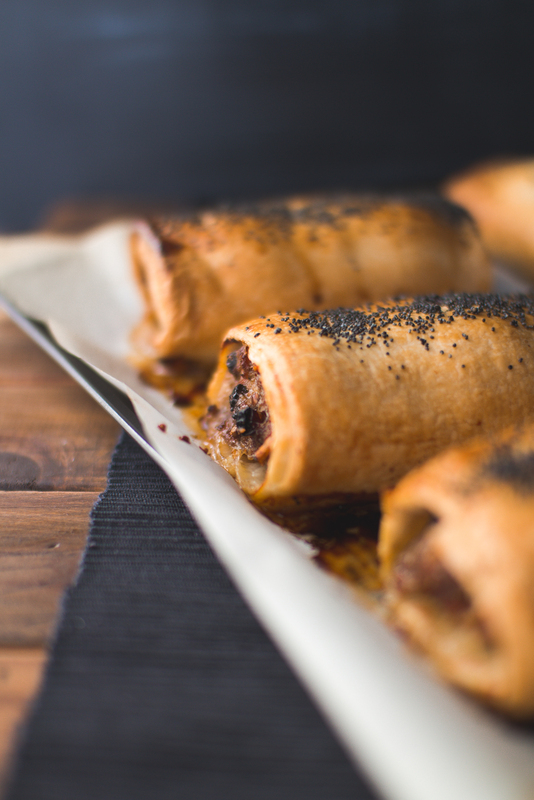 Sure once you grow up you wonder what exactly goes into a sausage roll, but it doesn’t necessarily mean you have to give the stuff up? You just find a better and more adult version of it. In comes Bourke St Bakery’s effort, using distinctly nationalistic choice of lamb, but then adding a little North African and Middle Eastern twist on it. It’s another recipe made by my ever talented friend Hannah. Don’t underestimate the heft of these tubular vessels of goodness, one is probably more than enough for a main meal. Although if you’re 6ft+ then I guess you’re allowed to scoff 2. This recipe uses the harissa featured in my last post. Preheat the oven to 200C (400F). 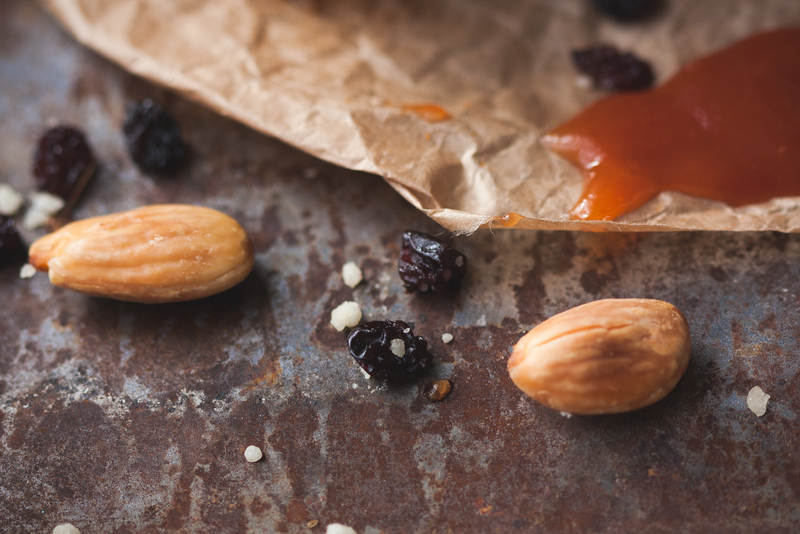 Put the almonds on a baking tray into the oven and cook for 5min or until lightly golden. Roughly chop and add to a large mixing bowl with lamb, couscous, currants, salt, pepper and harissa. Mix well with hands to really combine the meat mixture. Roll out a puff pastry sheet, place a portion (around 1/4) of the mixture into the centre and form evenly along the pastry sheet. Brush one long edge with egg wash and roll the other side over the mixture, firmly pressing to seal. Cut the log into even sized pieces depending on how large you want the sausage rolls, Hannah just cut them in 2. Place them on baking trays lined with baking paper. 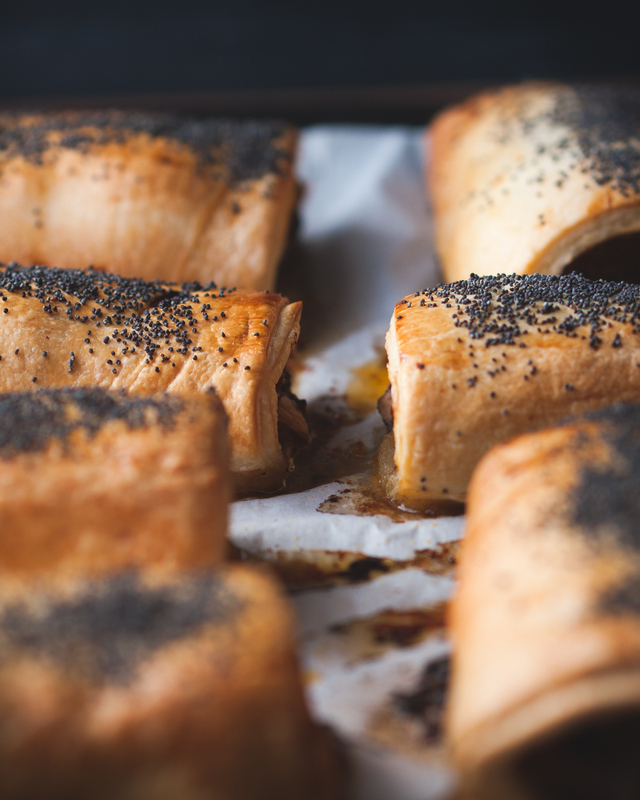 Using a small knife make around 3 slits on the top of each sausage roll then brush the top with egg wash and sprinkle with poppy seeds. Reduce the oven temperature to 190C (375F) and bake for 35-40min or until golden brown.